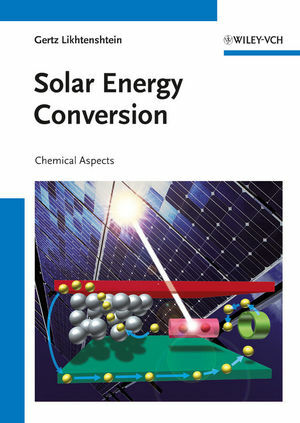 author and internationally renowned scientist, considers different physical and engineering aspects in solar energy conversion. From theory to real-life systems, he shows exactly which chemical reactions take place when converting light energy, providing an overview of the chemical perspective from fundamentals to molecular harvesting systems and solar cells. help this promising, multibillion dollar fi eld to expand. Gertz I. Likhtenshtein received his PhD and his doctor of science from the Semenov Institute of Chemical Physics at the Russian Academy of Science in Moscow, where he was appointed to the position of Head of Laboratory of Chemical Physics of Enzyme Catalysis in 1965, becoming a professor in 1976.
International Price for Chemical Physics and the Diploma of the Israel Chemical Society. Professor Likhtenshtein is a member of the International ESR Society, the American Biophysical Society, the Israel Chemical Society and the Israel ESR Society. His main scientific interests focus on antioxidants analysis and mechanisms of light energy conversion.